A film with delusions of Faulkner and Wild Strawberries, Carl Bessai’s free-floating Emile follows what happens when a professor returns to his native Canada to visit the niece he left in an institution after his brother’s death many decades ago. Emile (Ian McKellen) is a stranger to Nadia (Deborah Unger), who receives the older gentleman in the shroud of night not like a distant relative but a landlord renting out a room to a tenant who just walked off the street. Freely jumbling past and present, Bessai takes his time unpacking the film’s story, putting his complete trust in McKellen, who also gets to play Emile as a young man via a series of flighty, gothic-style flashbacks to the character’s life on a Seskatchewan farm with his two brothers, the manically creative Freddy and Nadia’s brutal father Carl. 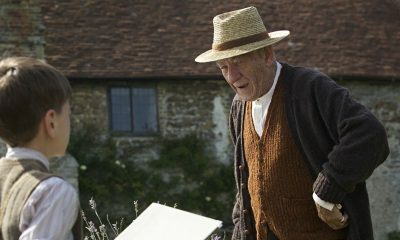 This device makes sense on the surface (Emile both runs from his younger elitist self and remembers his brothers as they were when he left them on the farm), but while this poetic anti-distancing approach is meant to mirror the man’s need to make amends with his existing family, McKellen’s interactions with his immensely attractive co-stars unnecessarily bring to mind scenes from Gods and Monsters in which the actor’s playfully lascivious James Whale gets to hang out with all sorts of cute guys. Bessai’s transitions between past and present are alternately lovely and ostentatious, and while his imagery is frequently unnerving, it’s simply not matched by the rather uneventful story. 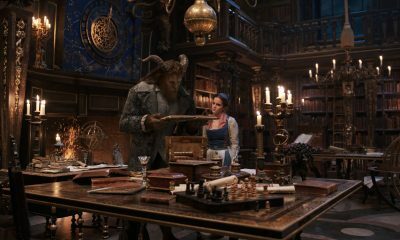 Unlike Faulkner’s Light in August, the film’s structure is less intricately maze-like and the stakes never feel too high. Bessai evokes family as a swamp of pent-up frustration and bitter regret, and while McKellen and Unger do a wonderful trudging through the dirt (and, finally, cheese), Emile never quite gets off the ground.